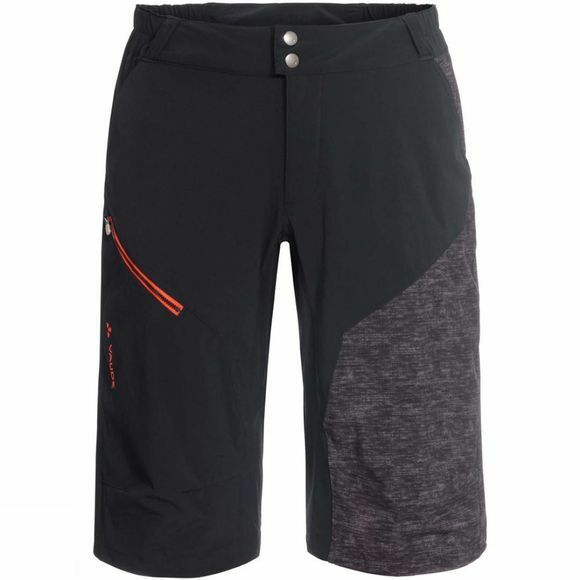 The Mens Slickrock Shorts from Vaude are casual MTB pants, you'll be having a blast and not just on sandy terrain. 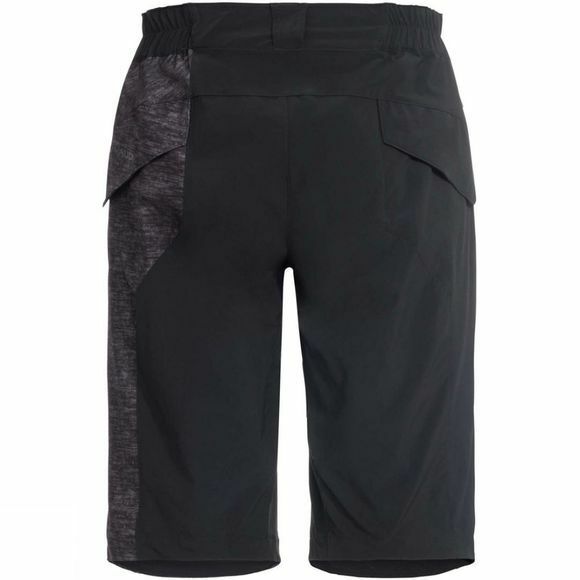 Color stretch panels on the inner leg and a stylish print make the Downieville Shorts a low-key companion. Two pants pockets and a side zip pocket are just as practical as the higher waistband at the back that's fully adjustable and ensures optimum wearing comfort. The Vaude Green Shape label stands for environmentally friendly, functional products made from sustainable materials.